Oral and Maxillofacial Surgeon Stanton M. Braid, DMD, has been helping patients from his offices in the heart of Philadelphia, Pennsylvania for nearly 38 years. Shedding Light spoke with Dr. Braid about his practice, the types of patients he sees, and how technology has improved how he performs surgeries. Shedding Light: Does your practice location impact the types of patients you see? Dr. Braid: We’re located in the Center City neighborhood of Philadelphia. It is the third most densely populated “uptown” in the U.S. after New York’s and Chicago’s and there are a number of major highways coming into the city. I see patients with physical trauma because they’ve been in a motor vehicle accident or been assaulted. I also see patients who need dental implants and those who require reconstructive surgery due to a tumor or a defect. Of course, any jaw defect is secondary to a trauma or pathologic situation. 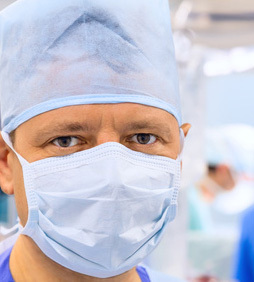 Shedding Light: Where do you perform surgeries? Dr. Braid: I’m affiliated with three hospitals: Thomas Jefferson University Hospital, Hanhemann University Hospital, and Albert Einstein Medical Center. I’m in surgery two days a week and see patients in my office the other three days. Shedding Light: How has technology improved care in oral and maxillofacial surgery since you began practicing? Dr. Braid: Technology has improved on several fronts. Advances in materials have improved surgical techniques; they save time and increase our ability to treat patients tenfold. A second surgery can be avoided because of allografts and autografts, which cause fewer problems for patients and reduce morbidity. 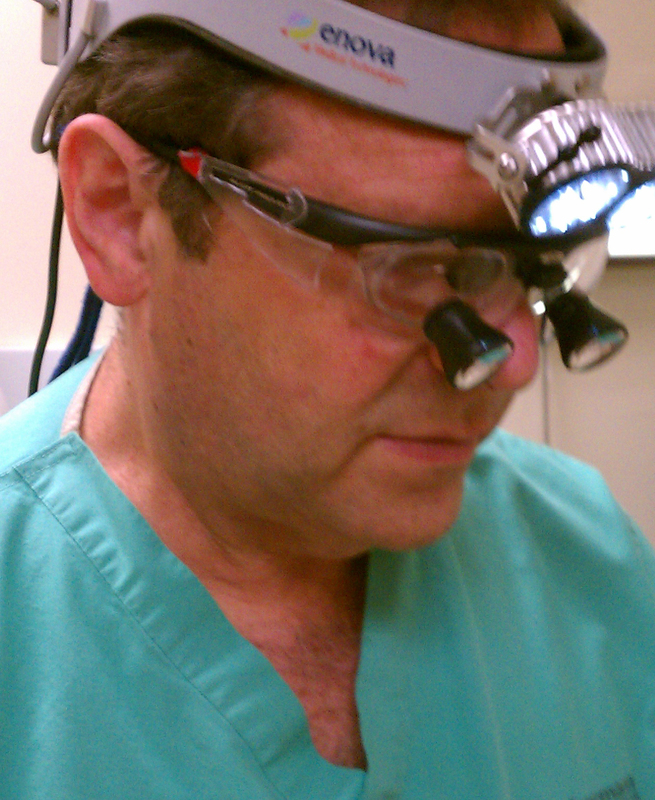 In my opinion, using loupes has opened the world of visualization to surgery and illumination—better and brighter light like the Enova headlight—has vastly improved the ease with which we perform surgeries. Shedding Light: Which Enova LED surgical headlight do you use? Dr. Braid: I’ve been using the Halo 6000* with the dual LED lights for the past seven or eight years. I’d used fiber optic headlights before but they weren’t bright enough, didn’t illuminate a large enough field—or the larger the spot, the less bright they became—and they presented constraints. I can move freely around the patient wearing the Enova headlight and directing the light is as simple as tilting my head. Shedding Light: How does the Enova headlight compare to other LED surgical headlights you’ve seen? Dr. Braid: When I first saw the Enova headlights I thought “this is a novel headlight,” and once I evaluated the headlight and the battery pack, purchasing it was an easy decision. I’ve seen other LED surgical headlights, but they seem like imitations. Shedding Light: What do you like most about the Enova LED surgical headlight? Dr. Braid: The Enova headlight provides the brightest light and is comfortable to wear. It doesn’t get hot like fiber optic headlights and I’m not tethered to a power source. I am in surgery for four to six hours at a time and the battery pack lasts the entire day. It is a God-send! Dr. Braid: I use it every day, both in surgery and in the office. I feel blind with it. Dr. Braid: Yes. I use it for oral and maxillofacial surgery, but its use crosses over into other specialties. I work with residency programs and the residents and other OR personnel ask about the Enova headlight. When they try it on, they marvel at the simplicity of the design. Shedding Light: Have you seen Enova’s newest surgical headlight, the Enova XLT-125? Dr. Braid: Yes. I follow Enova and know they are continually refining their technology. To be honest, the Halo* I own is so well-made, there’s no need to replace it until I want a second one.